The Deluxe LED Light ring has features important for larger tanks. 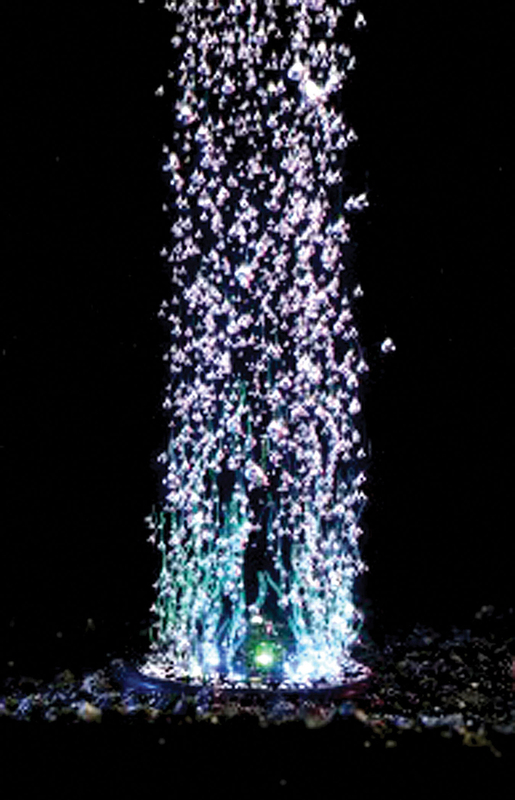 The 6 LED array is arranged in a larger circle than our smaller units allowing for a column of bubbles 20-30 inches tall. The 4 inch base fits very nicely in larger aquariums and has 3 tabs which can be weighted with gravel for secure placement in the aquarium. 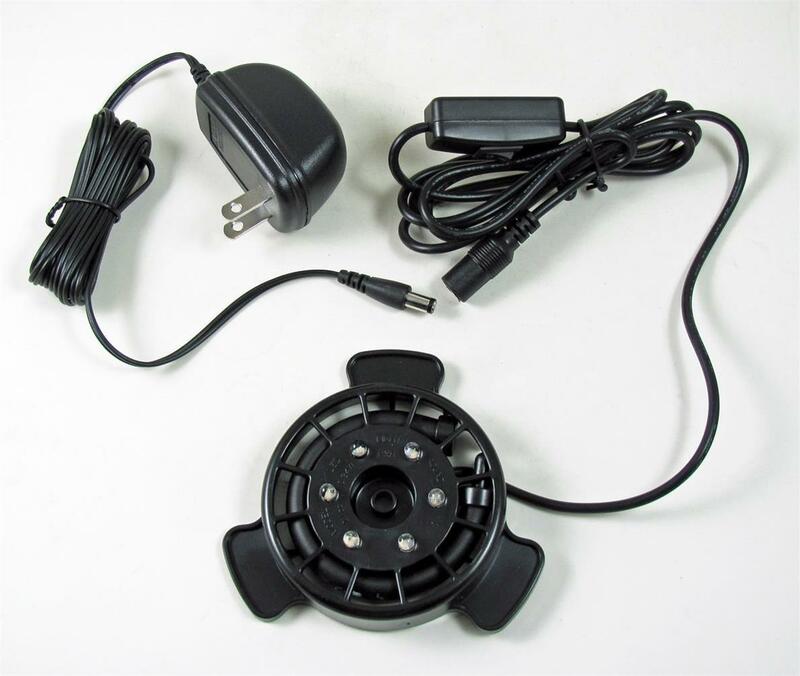 Add to this a generous 10 foot power cord and a cord mounted on/off switch and you have the ideal unit for larger aquariums in the 50 to 200 gal range. Each light base has a self-contained air diffuser ringed with 6 LED's that rotate automatically between 5 main colors for over a 100 color combinations as each LED bulb turns color and fades in and out. Besides aquariums these lights can be used in small bubble walls or columns, small container gardens with plants and/or fish and is also used in ice sculptures. Very economical to operate with minimal cost when considering the beautiful effects.